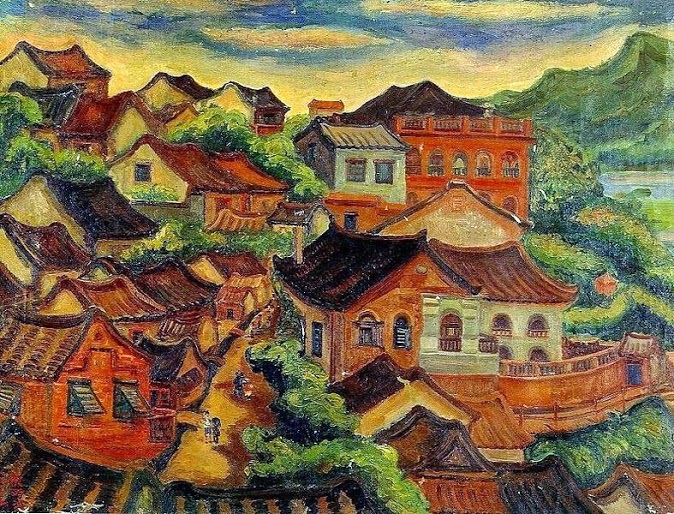 Most friends of Tamsui will recognize this famed 1935 oil painting by 陳澄波 (1895-1947). On the upper right is the 紅樓 (Red Castle) built in 1895-99, home to the 洪以南 (Hong Yi-Nan) family (purchased in 1913, re-named 達觀樓). For years, it has sat idle, now a popular cafe-restaurant with a spectacular view of Tamsui. 洪以南 was actually the first mayor of Tamsui (from 1920 to 1924) who lived there for 14 years. 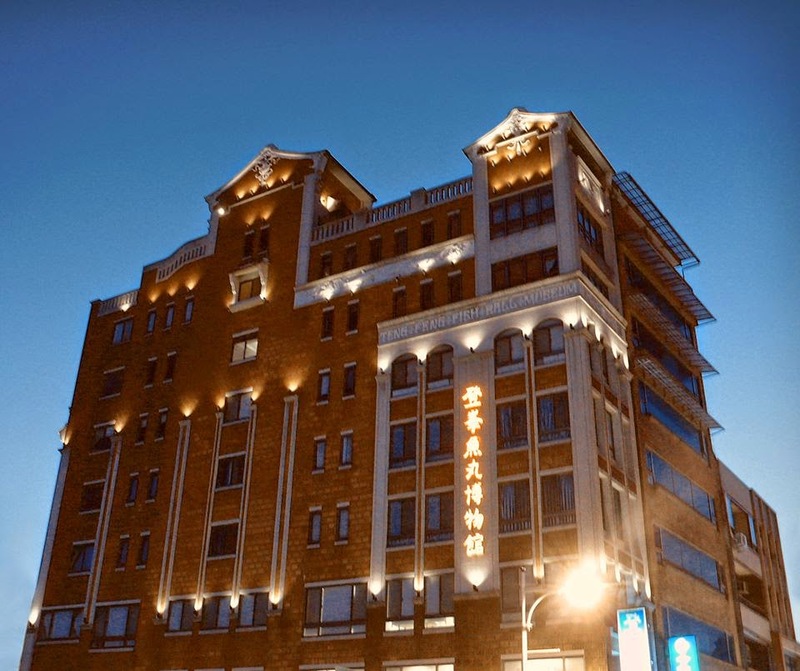 The 淡水信用組合 that he had helped founded is still in business today. Hong Yi-Nan was from Manga (now WanHua), born in 1871, and relocated to Tamsui in May 1913. His great grandfather had migrated from QuanZhou to Taipei during the reign of Emperor DaoGuang (1821-50). Grandfather Ten-Yun became wealthy from the rice trade who, recognizing the extraordinary intelligence of the young Yi-Nan, had invited a famous scholar Kong Hsien-He from Quan Zhou to be his grandson's private tutor for the latter to learn literature, history, poetry, and rhapsody. In 1895, Taiwan was ceded to Japan, Yi-Nan moved to Jing-Jiang and took the Chinese national scholastic exam to qualify for officialdom. Later, to protect family estates in Taiwan, he traveled back with his family and was appointed to a series of official posts. On Sept 25, 1914, he became the Director of Tamsui District, and between 1920-24, Tamsui's first Mayor. Yi-Nan was well-known for his poetry, calligraphy, and traditional painting (of orchids and bamboo). He was also an avid literary collector, owner of a noted private library within his residence 達觀樓, and the first leader of 瀛社, a poetry society in Taipei. Yi-Nan's son Chang-Gun was the first MD ophthalmologist of Taiwan. Yi-Nan passed away on May 14, 1927 from an illness. Even though he had resided in Tamsui for only 14 years, because of his vast network of friends and unbridled generosity, he not only had administered Tamsui but had also participated in the establishment of Tamsui Cooperative, leaving behind a favorable imprint in Tamsui's modern history. 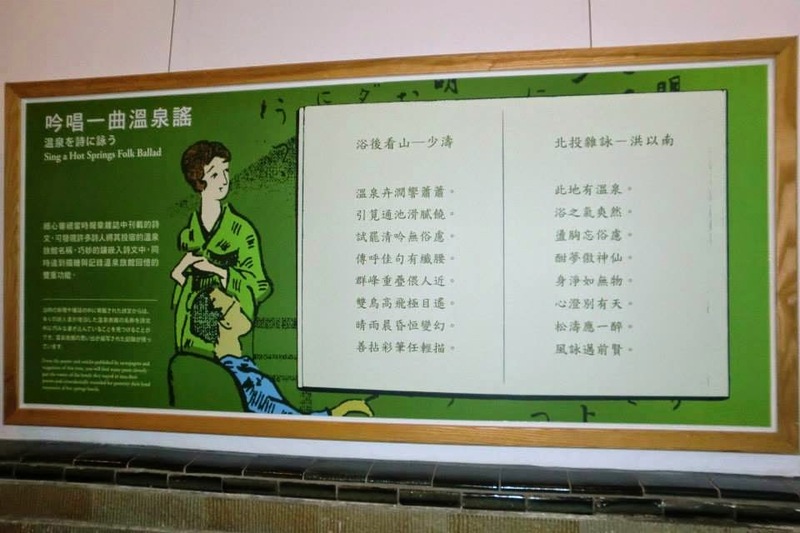 His residence 達觀樓 also permits younger generations to look back and remember the graceful past of poet gatherings, complete with poetry composing, reading, and wine-sipping, at that time. Thanks for this. A few items to add: There are three other places that I know have Hong Yi-Nan's calligraphy. And the current owner of Red Castle is a Ms Hong - unrelated. Who owned the family fish ball business across the road. Te Yu fish food co. The Xiangdong's is right at the entrance, on the right hand side. Thanks for the links. Those are beautiful calligraphy. And also clarifying the ownership of the Red Castle. I have wondered about that. The fish balls of 德裕魚丸店 are no longer hand-made, now somewhat elongated in shape and taste a little different from the past, too. The fish in Tamsui River are too polluted to eat, so they must have used different kinds of fish. Red Castle at one time was used as a residential hall for Tamkang university students. And they hang washing out on the balcony in this beautiful historical building. It was also a museum for a number of years. When I visited a couple of years ago, I wasn’t sure about the cocktail bar at all. I asked my father, what did he think of the changes. He said “It is good, at least someone is looking after it”. I actually have not checked out the restaurant yet. To me, it was a landmark with a venerable past. Dining in there would seem disrespectful. I usually bypass it and go down the steps to look at the 苦梘 tree near the White Castle - 木下靜涯 lived there until 1946.